There was a time when people bought smartphones depending on what manufacturers said in ads and other places. Now that we have a clear idea of how smartphones work, customers have become conscious of different aspects. We believe the largest confusion is of Octa Core vs Quad Core processors. It’s a universally acknowledged fact that a processor has the pivotal role in the performance of a smartphone. Around two years back, Quad Core processor mobiles were a luxury in the world of smartphones. There were only a few flagship devices that came with Quad-Core processors inside. Looking back, however, we have passed through a huge growth in the mobile performance sector. Today, even some budget-friendly devices provide Octa-Core processors. At the least, you have a choice when it comes to choosing the processor for a device. 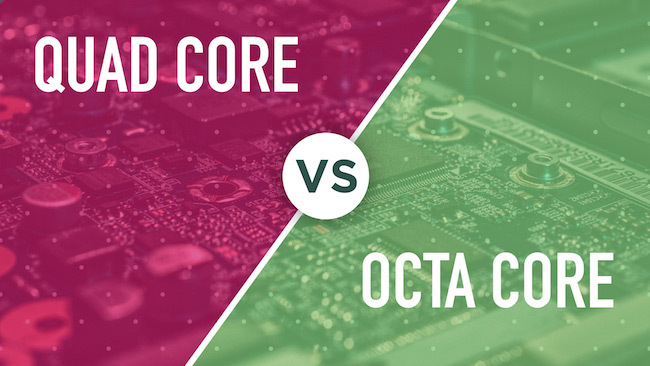 In this article, we will spot out the difference quad core vs octa-core processors so that you can make a quick decision. We will also compare some popular quad core and octa core processor sets from Snapdragon. This way, you can really understand what it is to have an octa-core SoC instead of the quad-core one. Smartphones have finally become minimized versions of fully-fledged computers! As it happens so, you can find fully-fledged processors inside them too. Just as you have seen in the world of computers, a Processor has the primary function of executing tasks and processes. We don’t want to dig in here much; so, we would move onto Processor Cores. Processor Core can easily be called the Processing Units of the Processors. We know that’s confusing. Simply put, in a single processor – say, Snapdragon 410 – you can find one or more cores. That is, the processor is having one or more components for processing the tasks. Essentially, a Processor Core is the important as well as required components of a computer. We hope now you have a clear idea about smartphone processors and processor cores. We’ll now find those real differences between an Octa-Core Processor vs Quad Core. If we are talking in terms of numbers, the classification is ultra-simple. Octa-Core Processors have Eight different processor cores in those chips. On the other hand, when it comes to the case of Quad Core processors, there are only Four processor cores only. But, this does not mean that an octa-core processor is twice as powerful as a quad-core chip. There are other factors involved in there, the major one being the organization of processor cores. In the case of quad-core processors, all the processor cores can be brought to work. This is, once again, under some particular circumstances. When you are reading an article or browsing your messages, all its four cores may not be in use. Nevertheless, if you are streaming some HD Videos or dealing with some graphics-hungry games, chances are, all the cores are at work. In short, the trigger here is whether an app/game is optimized to use all the processor cores in a single chip. Things are a bit different in the case of most Octa-Core processors in the market. According to the processor design, there will be two sets of processor cores. Each set will be comprised of Four Processor Cores. Out of these, four cores are lower-powered and four other cores are high-powered. One thing to be noted here is that the low-power cores are always at work, in most smartphones. So, you don’t have to worry if you can’t find the double speed in your Octa Core processor device when compared to the quad-core ones. Just as we discussed in the case of quad-core processors, optimization of apps is a big deal here too. As far as we know, there aren’t many Android apps that make use of Octa-Core setup in the right manner. We hope that sums up your questions as to why you cannot find the extra speed with Octa Core devices. In simpler words, it does not matter how many cores a processor has if the device/app cannot manage them. An example from Apple is to be noted here. Apple Inc. still depends on Dual-Core Processors for powering their devices, and there have been no major complaints of performance. By the way, there are some smartphone manufacturers that put True Octa Cores inside. It means that all 8 processor cores will be working at the same time. On paper, this should give you the best performance and it should be doubled than the quad-core scenario. Once again, without apps that utilize the eight-cores-at-a-time scenario, everything is pointless. As we all know, a processor is the largest consumer of battery resources. In the common usage scenario, you will drain your battery quickly if you are doing some resource-hungry tasks, like HD Streaming or gaming for that matter. And, the number of processor cores plays an important role here too. Suppose 4 processor cores are working simultaneously inside your smartphone. In another case, 8 processor cores may be working. As it happens, the battery consumption will be higher in the second possibility. But, this is all hypothesis, because you are not going to have all the four cores or all the eight cores working at the same time. Even then, you might see some extra battery drains if your smartphone has an Octa-Core processor inside. It is something serious because smartphone batteries are not bigger according to the growth of processing power. Recalling what we have said above, there is no point in going behind the numbers. In practice, just because you have eight processor cores in the device does not mean you have better performance than quad-core devices. 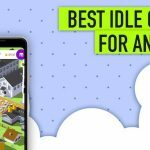 It’s also about whether those processor cores are being used properly – by both the device and all the resource-hungry apps out there. As of now, there aren’t many Android apps that fall into that category, but we can expect them soon. Until that point, purchasing an Octa-Core Smartphone instead of a Quad-Core smartphone is not going to give you anything good. You are literally wasting some money. Moreover, you should not just be focused on numbers while picking the processors. In certain cases, a Quad Core Processor can be powerful than Octa-Core Processor. It’s also about the cores that are being used in them. In other words, ‘Octa Core is powerful than Quad Core’ is a myth constructed by marketers and smartphone manufacturers, to loot money from common people. And, never ever fall into that pit again. Processor matters, and not the number of cores! So, it has turned out that, now we have to look for a processor with less core but with high performance. Does this mean an Intel i3 processor can be power saving than an i5 processor? Does it apply to this concept? Well because I want to buy a new PC too. Hi Amyt Dev, it really depends on your needs and requirements. Thanks for this useful information; this will help me a lot. This is really a nice explanation about Octa Core vs Quad Core. You have given insight of Octa Core vs Quad Core in this article. You can also put a photo of Octa Core & Quad Core to make comparison visible. This will also give a better experience to the readers. Thanks for writing this informative post. Thank you Anil, that is really a good idea. I will surely convey your message to Abhijith. Well, octa-core was never an effective solution. Apple A10 fusion quad-core from iPhone 7 easily outperforms all snapdragon variants in just about any tasks. Also, octa-core solutions are not very effective in power consumption. Thanks for your post Abhijith N Arjunan. 1) Almost all the processor manufacturers using an ARM based architecture like ARM a53, a54 like this. 2) Competition goes through Snapdragon, MediaTek, Exynos, Kirin, Spreadtrum, and Intel. 3) Only Snapdragon uses own GPU Adreno, so it’s giving good gaming performance. 4) Octa core processors does not have equal GHz to all the cores, for example Snapdragon 615 processor consists of 4x 1.5Ghz ARM A53 + 4x 1.0Ghz ARM A53. 5) The operating system does not utilize all the cores, even when we play heavy 3D games. 6) Processor Manufactured restricted the each cores to different works doing on the smartphones and embedded the codes. This article has helped me a lot. I would have made a mistake by buying an octa-core smartphone. At least now I understand better how they work. Thank you bruh. Hello Sir, is this concept also fit to PC or laptop. Please clarify. The concept of Octa Core and Quad Core is the same for all devices.